Metal boxes, gorgeous tins, jewelry boxes, they are everywhere. You see lots of them with flower designs these days. 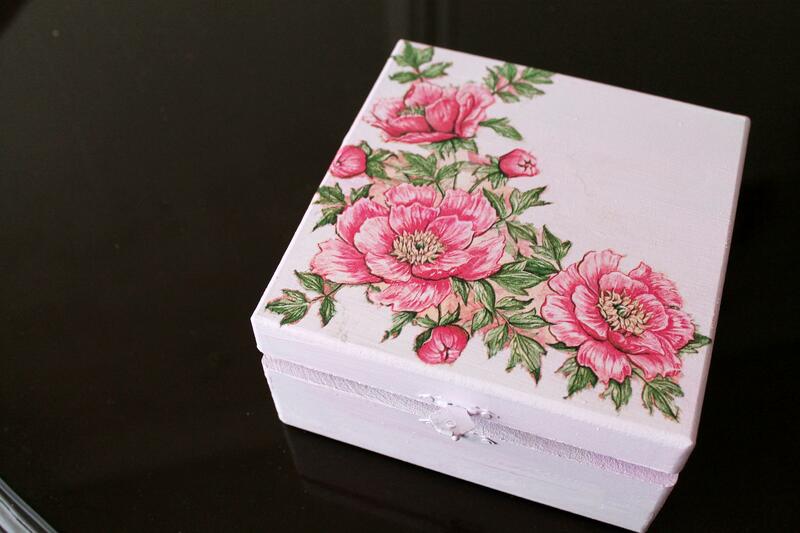 "Shabby chic" is in, and with it comes the love for light blue, pink, and flowery boxes. Flowers have been present in Persian paintings and designs for a very, very long time. 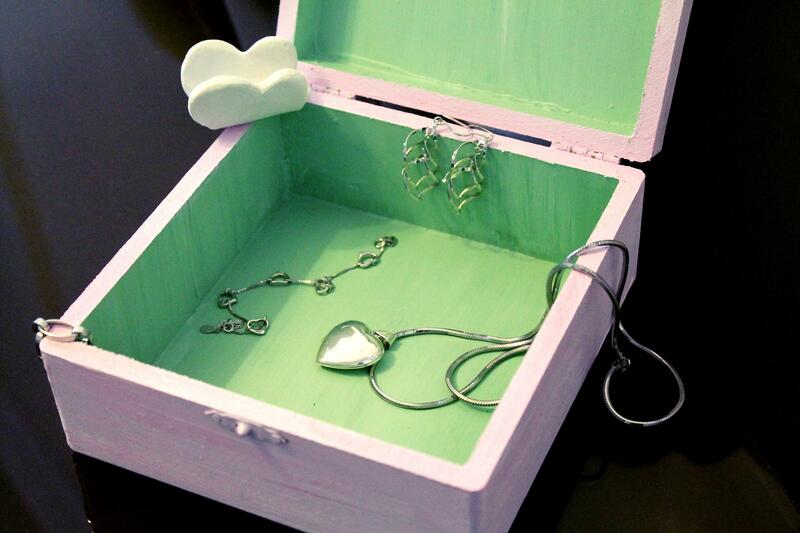 And these gorgeous boxes remind me of them. You know, they are actually not that hard to make. In fact, I am going to teach you how to build one. It's so simple, a piece of cake, and the result looks just adorable!! 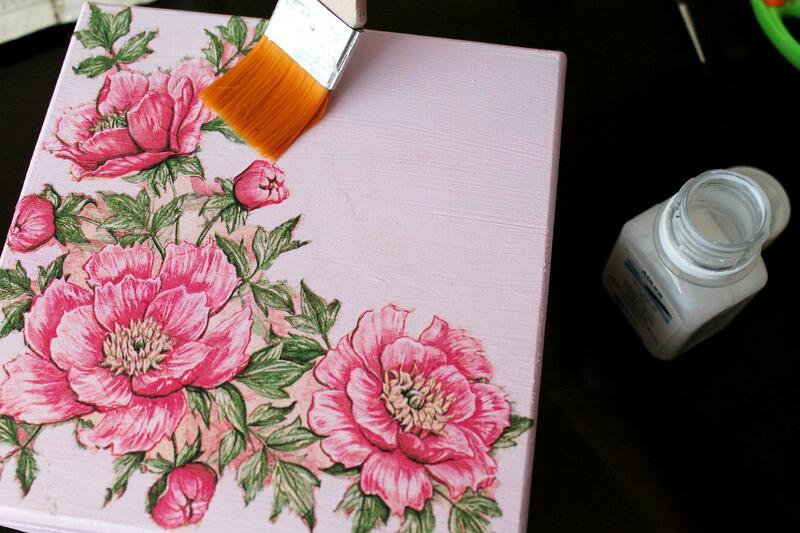 And guess what, this is a green & eco-friendly DIY, you can recycle that old wooden box you've had around for ages, or the one with ugly paintings, or the nostalgic one that belonged to your grandma!! Yay to recycling! I'm so excited to share this with you! 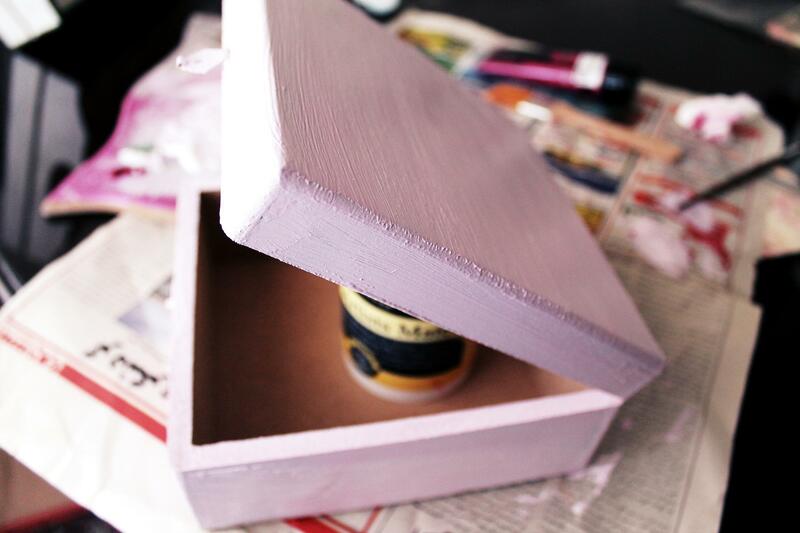 So enough from me, go down and check out the tutorial for this eco-friendly DIY yourself! 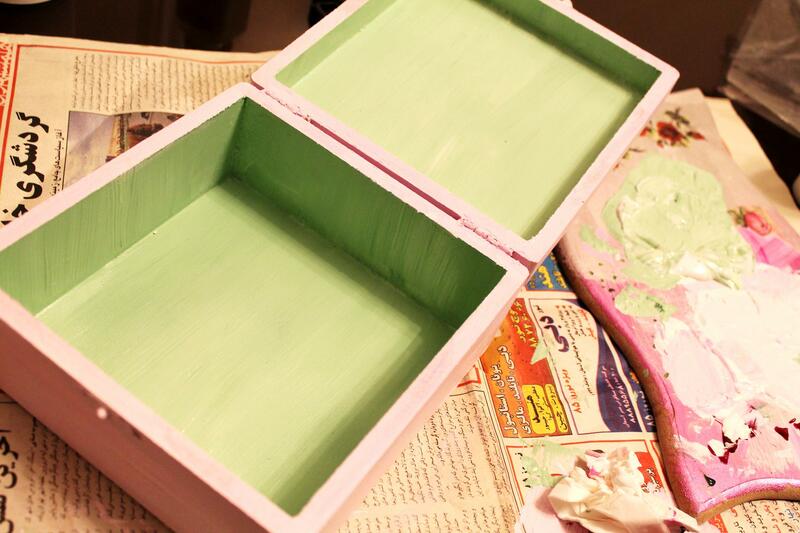 An old wooden box you don't use anymore – or a particleboard box (you can get one from?) 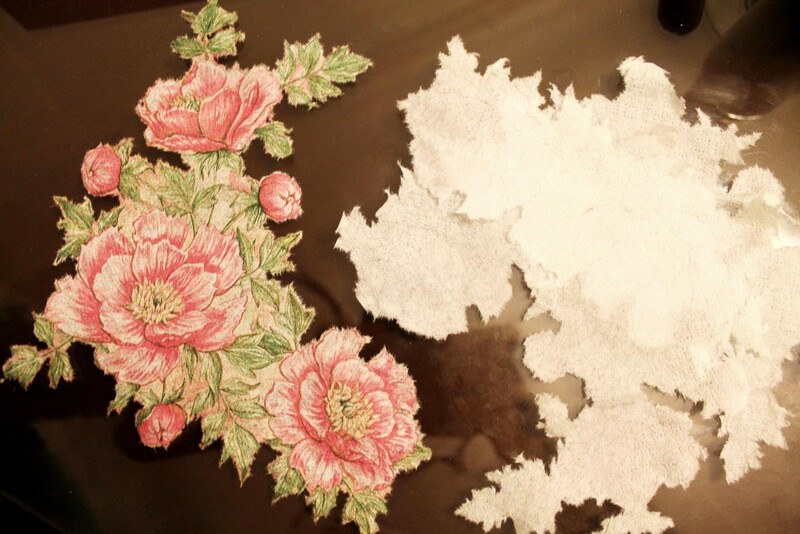 Paper napkin with a flowery design White acrylic color – large Pink acrylic color (if you have purple or red acrylics around, you can dilute them and make pink yourself) Green acrylic color Something to mix colors on. I used an old cutting board. 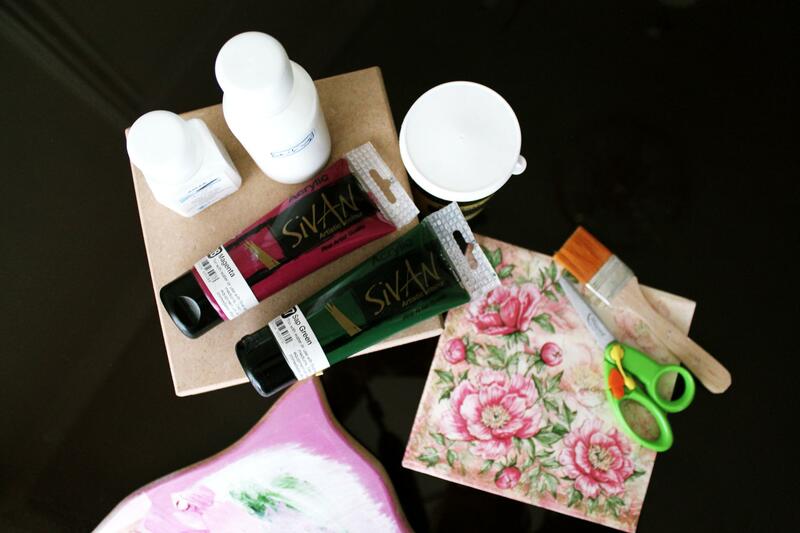 Paintbrush: 1 flat and 1 thin Scissors Decoupage glue Varnish Newspapers – to avoid the mess *Note that I'm using pink because my paper napkin has a pink background. You should choose colors according to yours. 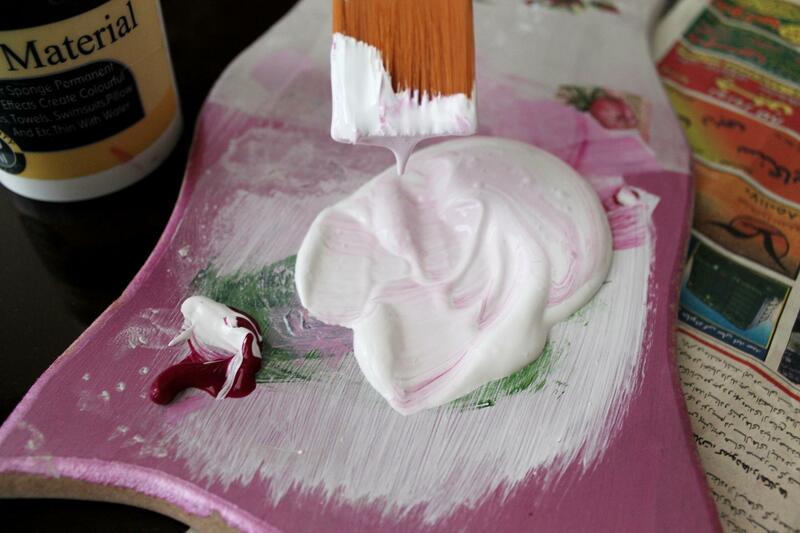 On your mixing surface, add white to pink until you reach a color similar to the paper napkin's background color. There is no need to mix the colors thoroughly. 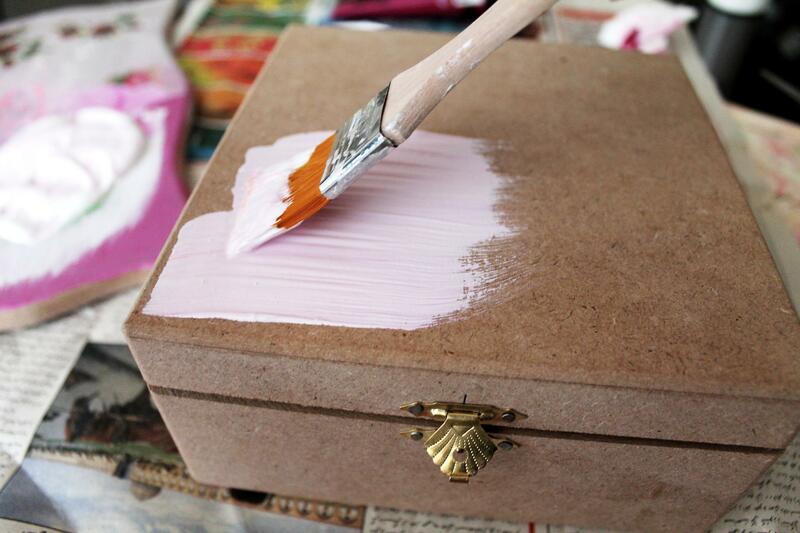 In fact, streaks of dark, shiny pink or simple white could make your box even more gorgeous! So just relax, and have fun playing with those colors! Let's color the box. Start with coloring the outer surface. And color the inside edges. Wait until it completely dries. Meanwhile, go wash your paintbrush! Colors will dry on its hairs, or you'll end up with a ruined-brush-that-won't-damn-clean catastrophe before the next step! Then you'll have to buy another one and the whole point of doing an eco-friendly DIY will go to waste! Turn the box backward, color underneath it. Wait for it to dry. Mix a little white to some of your green color. 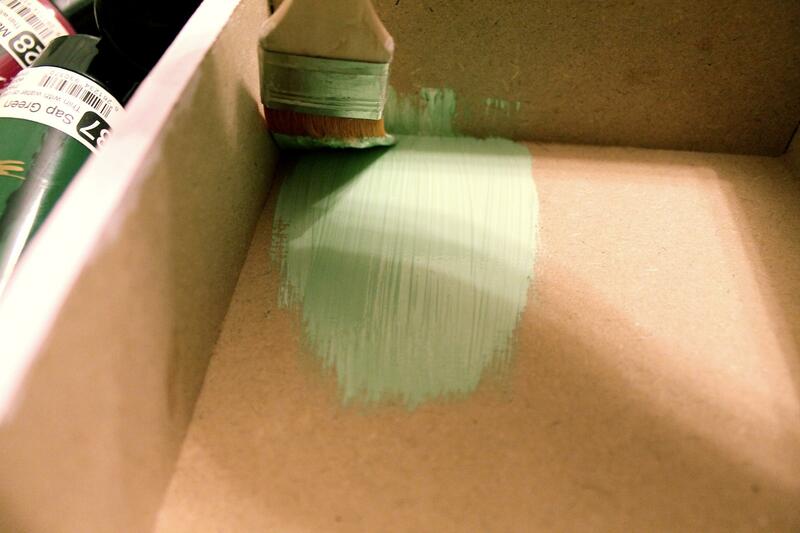 Add little by little, until you reach the perfect shade of green. The one green you like the best. Use it to color inside the box. Wait for it to dry. And...yeah, wash the paintbrush! Now let's get the pattern out. 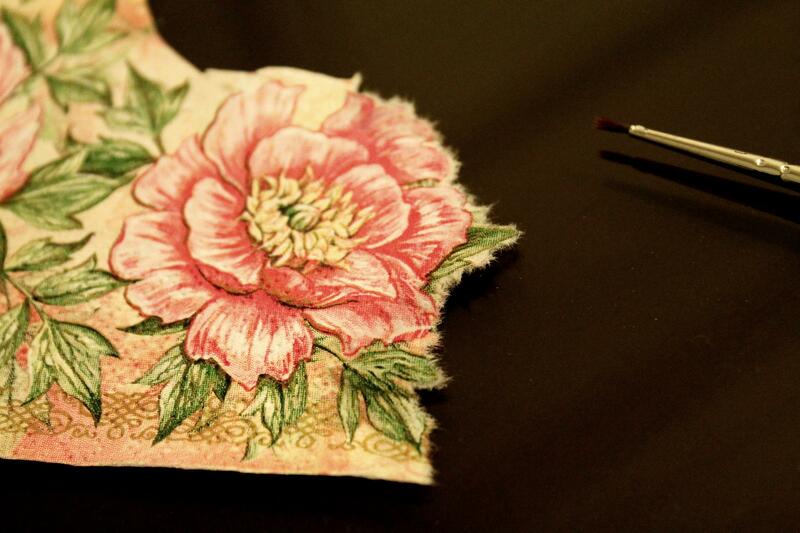 Cut the flowers from your napkin. It doesn't seem so, but believe it or not, cutting out a paper napkin can actually be a little tricky. An alternative way is to dampen around the flower with a thin wet paintbrush. Then you can easily separate it from all around it. Be patient. Don't hurry, and do it careful and slow. Separate all the layers of the tissue. We only need one of them. With your hand, Fix the thin layer on the box, on any spot you think it looks the best. 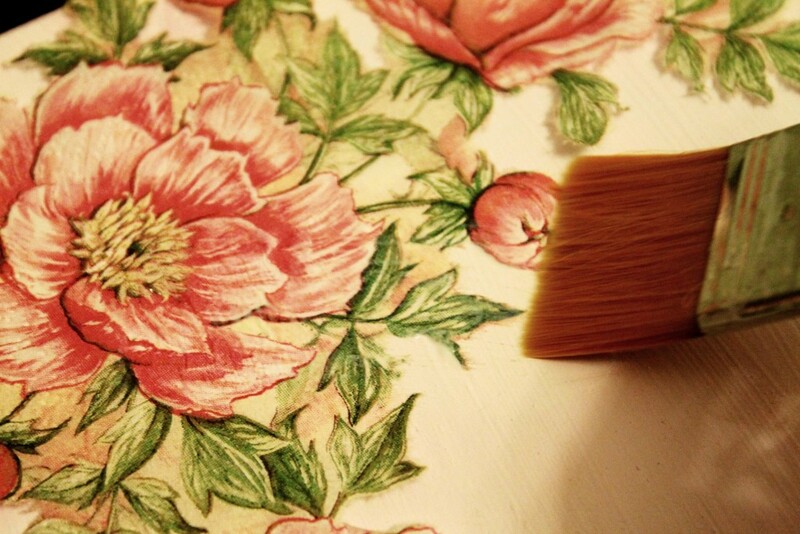 Now get your brush and Spread decoupage glue ON the napkin. There is no need to glue underneath it. Be careful with the process, paper napkin is so fragile. If you accidentally tear it, don't worry. 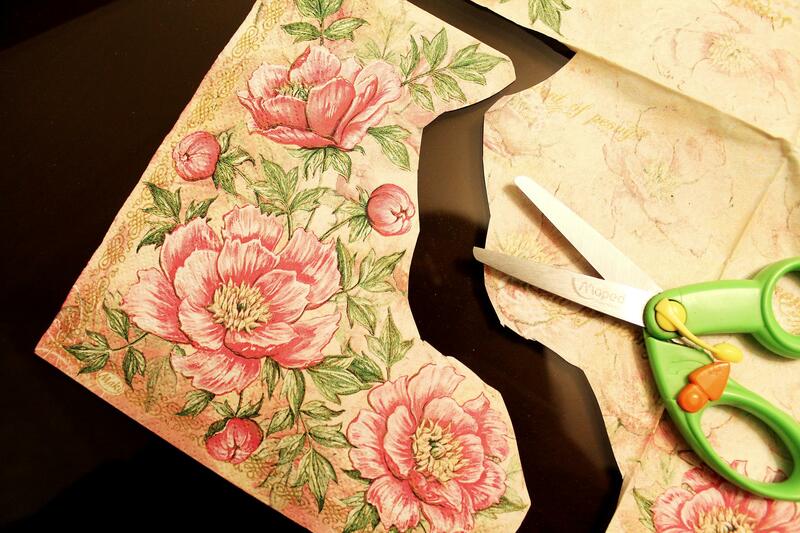 You can easily glue the torn part as you did the rest. It won't show! Give the glue some time to dry. 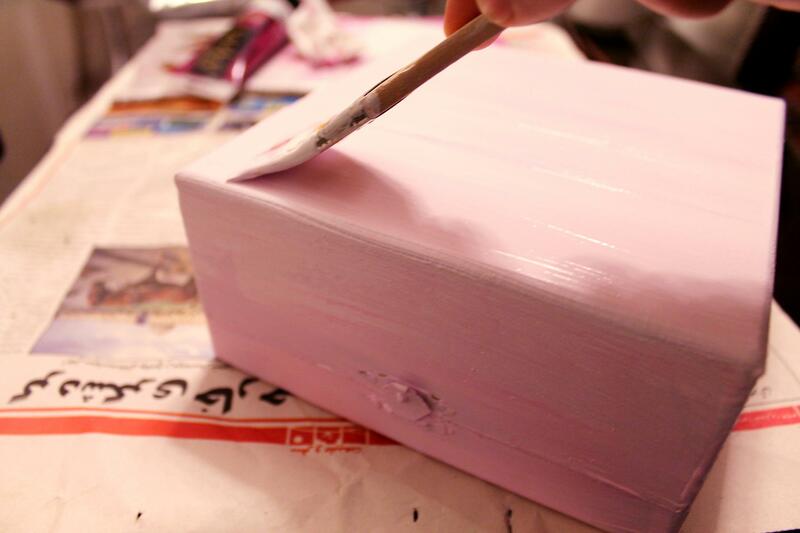 When it does, gently apply varnish on the box to give it a glossy finish. Let it dry too. Ta-dah! 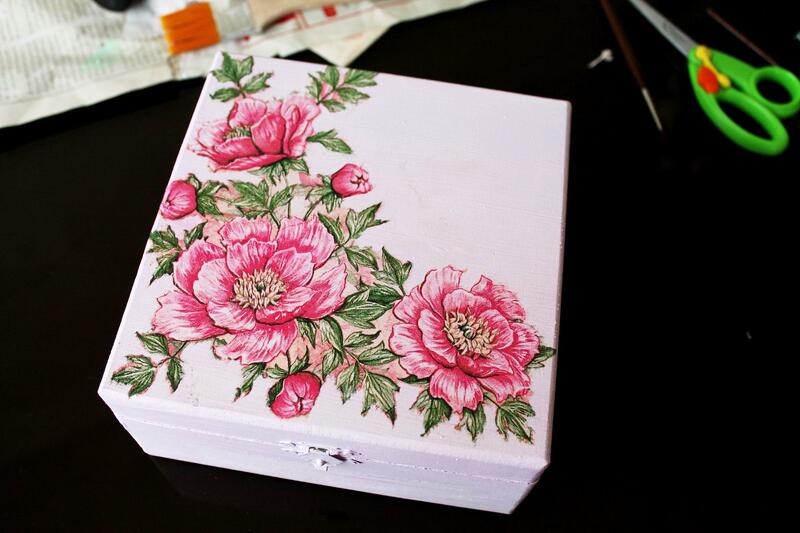 You've got yourself a cute vintage box! 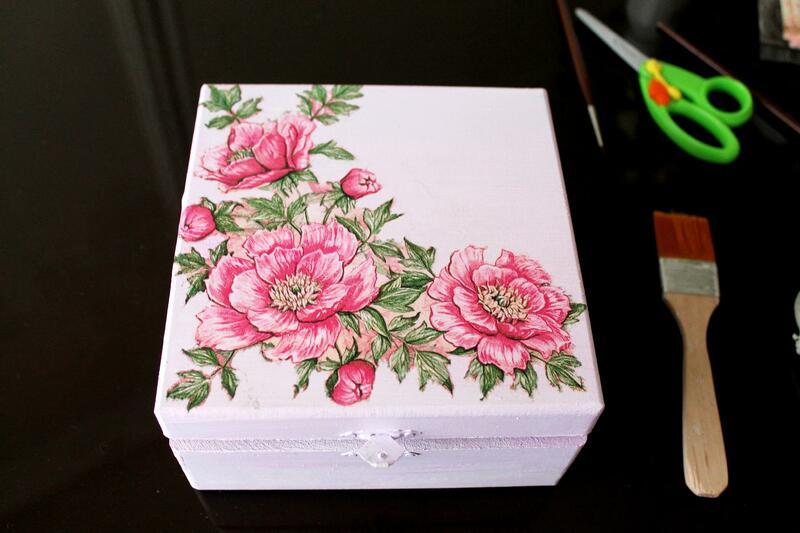 Use it for jewelries, make it your tea box, hide precious letters in there. So many possibilities!